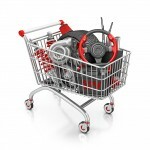 Online Catalog has Alternators , alternator descriptions, pictures, and prices. Tractor alternator are stocked for most models of tractors-Allis Chalmers, Case IH, Cub, Cub Cadet, David Brown, Deutz, Fiat, Ferguson, Ford, Gleaner, Massey Ferguson, Massey Harris, McCormick, Minneapolis Moline, New Holland, New Idea, Leyland, International, John Deere, Kubota, White, Oliver, and Zetor. Tractor alternator should be first identified by a part number. This is the best way to order an alternator. The OEM number can be cross referenced to aftermarket supplies such as Niehoff, TISCO, Vapormatic, Dixee Electric, Delco Ramy, Prestolite, and Bosch. 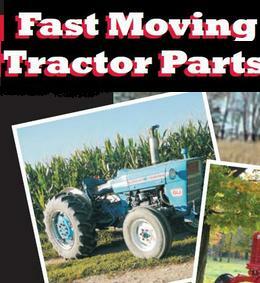 Know Your Tractor Alternator:-How to Order a Tractor Alternator without an OEM part number. In most cases, when ordering an alternator, the farmer or mechanic does not know the OEM part number. This presents a challenge. However, with these basic guidelines, the correct alternator can be sourced. With some tractors, all models will have one alternator. With this situation, then the tractor alternator identification is simple. With other tractors, like the David Brown 990, then other information needs to be gathered. The tractor alternator section for the David Brown 990 shows two (2) different items that can be chosen. There is an alternator, and a generator. Some of the early models of the David Brown 990 used a generator (which produces direct current (d.c)), and the latter models which used alternating current, or a.c current. So, the question becomes, what do you have? A generator or an alternator? Answer that and your current device will be chosen. Some tractors, however, are more intriguing. The Ford New Holland 2910 for example, shows three (3) different alternators available. On close examination, all three alternators are 12V, however, produces varying amperage of 37, 45, and 51 amps. In this example, the old alternator needs to be looked at and the amperage identified. With that information, the correct tractor alternator can now be chosen. The tractor alternator for the John Deere 3010 presents another challenge. The online catalog shows two different alternators, however, one is for a gas engine, and the other is for a diesel engine. The earlier models of the 3010 were gas engines. What is significant of the diesel engine is that it’s a 24V alternator, as compared to the 12V generator. The latter models of tractors began to operate off 24V systems that provide power for high torque diesel engines, air conditioning systems, and other electrical devices. The tractor alternator for the Massey Ferguson 265 presents another challenge. The online catalog shows two alternators available, and both are 12V/42Amps. The only distinguishing factor for this tractor is the serial number of the tractor. The models are either before or after 9A349239. In summary, these factors need to be identified to properly select a tractor alternator. Is it an Alternator or a Generator? Is your tractor engine gas or diesel? What volts (v) is your alternator? What amperage (A) is used? What is the serial number of the tractor? What made is the alternator? Delco Ramy? Mag Mar? Prestolite? Delco? Bosch? Niehoff? Other?